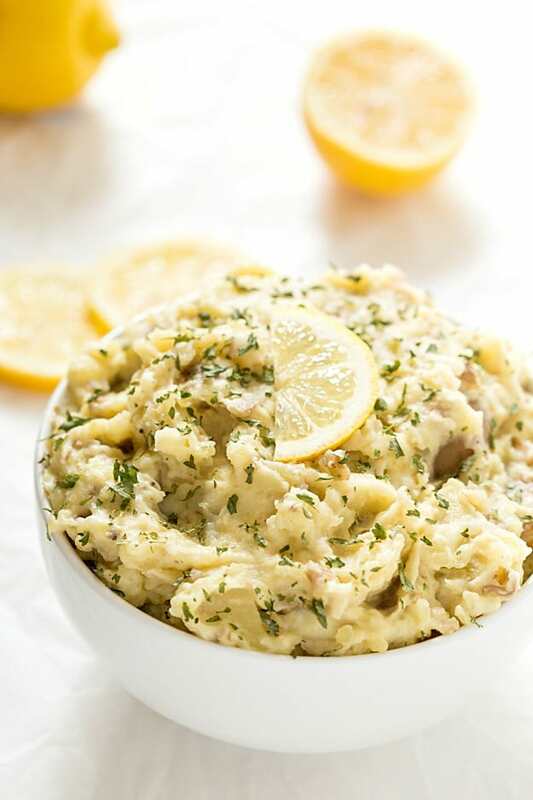 Tilapia & Crockpot Lemon Garlic Mashed Potatoes – An incredibly easy and healthy meal that’s no fuss or mess and baked to perfection! Paired perfectly with fresh lemon and garlic flavors! The mashed potatoes can be made with yellow or red potatoes! I have always loved seafood and fish ever since I was a little girl. We used to have it once or even twice a week sometimes. Even after I got married a couple of years ago, we still had it once or twice a week and then we stopped having it. I am not sure why exactly, but I can assume life just got a little hectic. So one of my goals for this year, 2016, is to get back into the routine of having some fish or seafood at least once a week. When serving tilapia or any fish, you typically see fresh vegetables or even french fries depending on the how it is prepared. I thought it would be a very good idea to serve mashed, not whipped, potatoes with it. 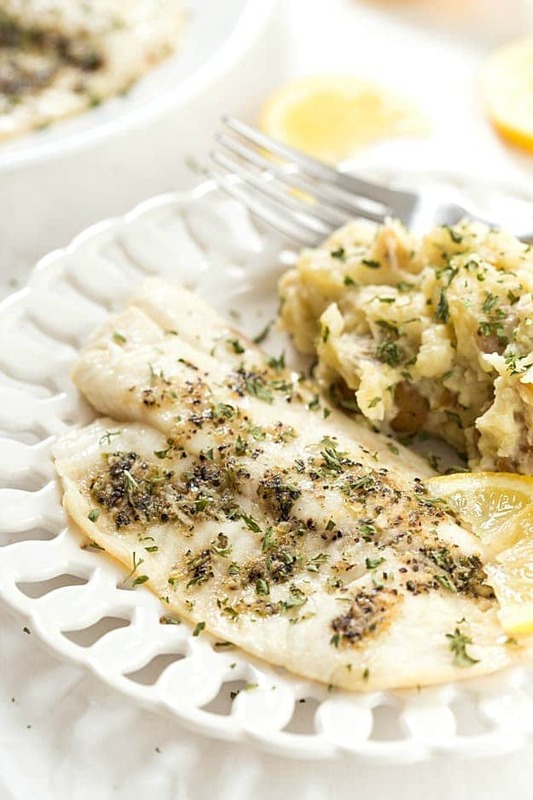 The lemon, pepper, and herb flavors in the tilapia paired perfectly with the lemon and garlic in the mashed potatoes. It made a very quick and comforting food in no time! If you have ever made mashed potatoes in your crockpot before, you already know how incredibly easy it is to make crockpot mashed potatoes! You dice the potatoes into quarters, add them to your crockpot and allow it to do all of the work for you. Once the potatoes are tender, add the other ingredients and mash away. So easy! 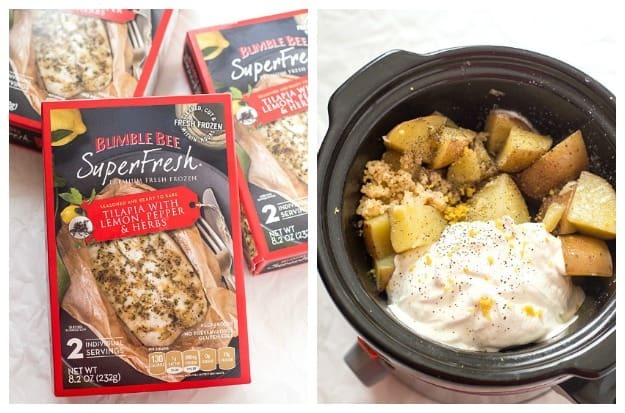 If you are actually looking for a quick meal with no fuss, then Bumble Bee SuperFresh® Tilapia with Lemon, Pepper & Herbs is for you! The tilapia is combined with olive oil, shallots, black pepper, fresh lemon, and other natural ingredients – makes for flavorful fish! 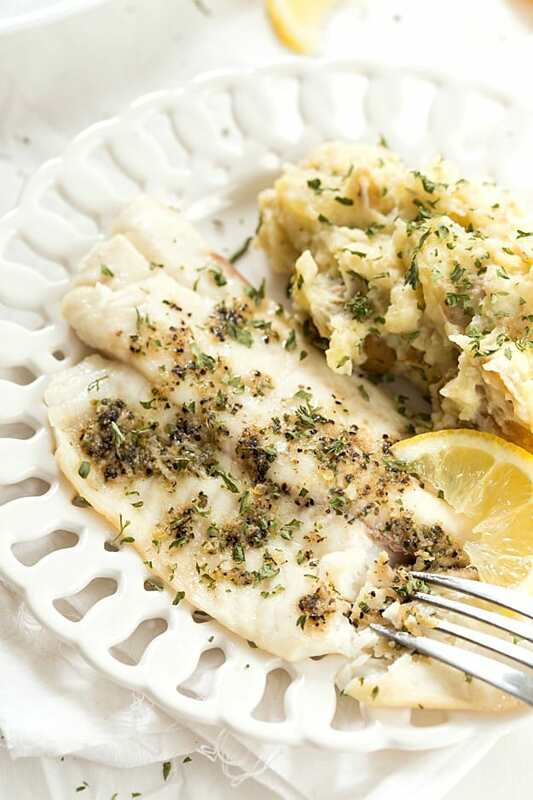 The best part is how the Bumble Bee SuperFresh® Tilapia with Lemon, Pepper & Herbs is prepared! All of their seafood is no mess and no fuss. 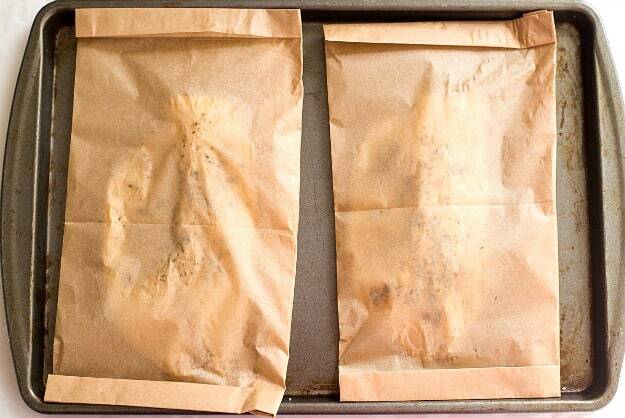 Both their tilapia and salmon come with their own parchment baking pouch and go from freezer to table in under 25 minutes. Their tilapia and other fish smells and tastes amazing! Their tilapia and other fish smells and tastes amazing! No fishy smells at all if you are worried about that. Because you prepare Bumble Bee SuperFresh® straight from the freezer, there isn’t any smell associated with thawing fish. Can’t wait to stock up on more for the upcoming weeks! You can find Bumble Bee SuperFresh® in the frozen seafood section, typically near the seafood counter, at your local grocery store. Check to see if you store carries it! An incredibly easy and healthy meal that's no fuss or mess and baked to perfection! Paired perfectly with fresh lemon and garlic flavors! The mashed potatoes can be made with yellow or red potatoes! Place the diced and quartered potatoes into 3-quart or larger crockpot. Cook on high for 2-3 hours or until potatoes are tender. Add the milk, sour cream, black pepper, salt, garlic, lemon zest, and lemon juice and mash the potatoes together using a potato masher. If you prefer whipped potatoes, whip the potatoes in the crock using a handheld mixer on low speed. Prepare the tilapia according to the directions on the back of the package.